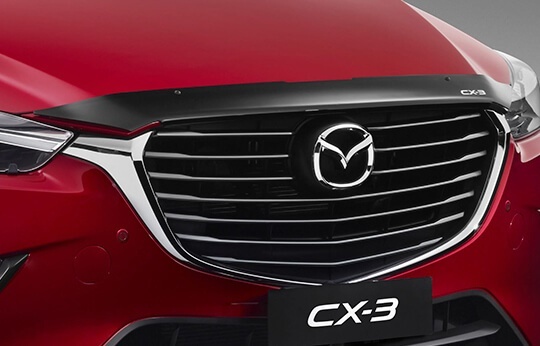 View the accessories for the Mazda CX-3 at Browns Plains Mazda below. Heads will turn as you soar down the road on these sporty, dynamic wheels designed to take Zoom-Zoom to a whole new level. 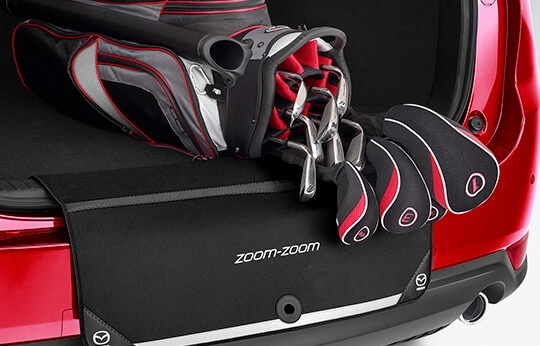 Finish the sporty look with these beautifully crafted wheels designed with the ultimate Zoom-Zoom experience in mind. 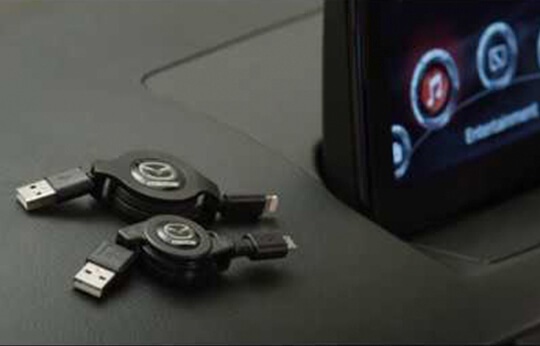 The perfect way to stream music, charge your phone or track its data – all from the convenience of your vehicle’s audio controls. Designed to save space and fit neatly on to your roof, this handy bike rack lets you carry your second set of wheels with ease. 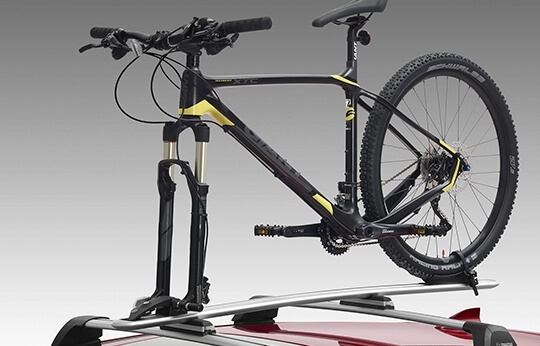 Make sure nothing gets left behind with this lockable bike rack designed to fit neatly onto your roof. 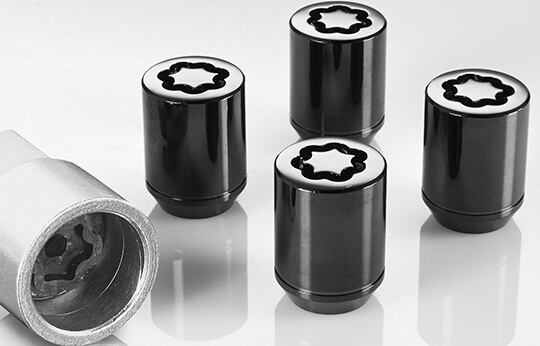 Keep thieves at bay with your own set of personalised, tamper-free black wheel locks designed exclusively for your vehicle. 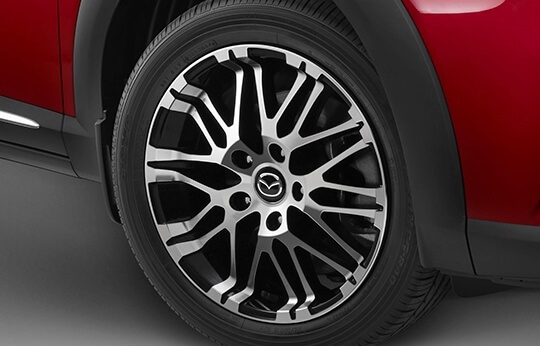 The perfect way to protect your Mazda CX-3 front from any damage caused by dirt, stones and other flying road debris. 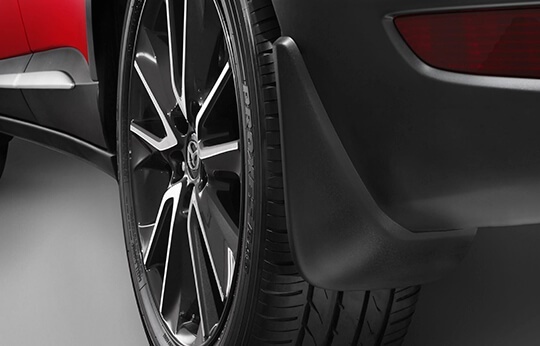 Protect your rear bumper and boot lip from the inevitable scuffs and scratches that occur while loading and unloading your cargo. 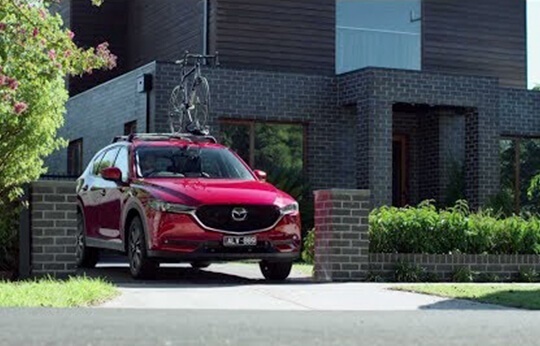 Shown here in Mazda CX-5. 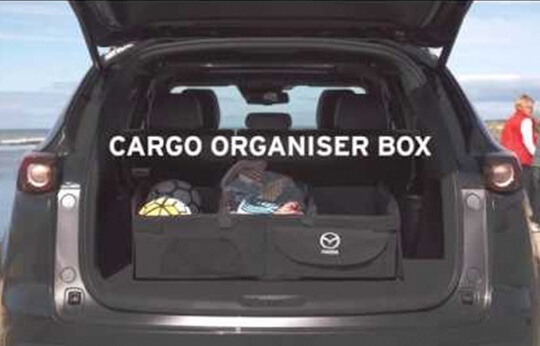 Prevent cargo items from sliding around with this handy storage solution that features internal dividers, detachable lids and a securable base. 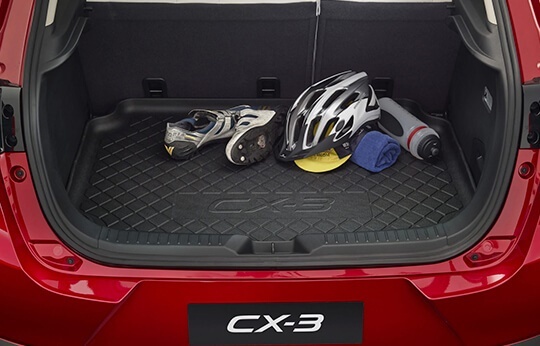 Shield your Mazda CX-3’s cargo area from dirt, liquids and scratches with this non-slip, custom-fitted washable tray. 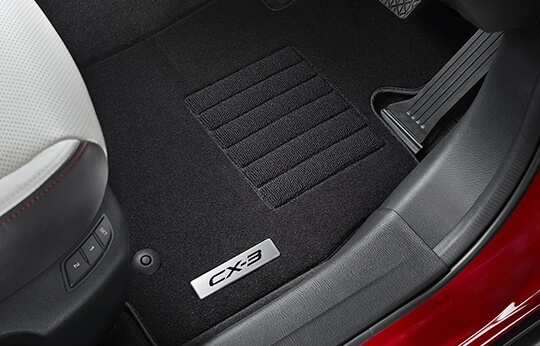 Tailor-made to fit your Mazda CX-3 perfectly, these slip-resistant, durable floor mats offer extra protection for your interior carpet. 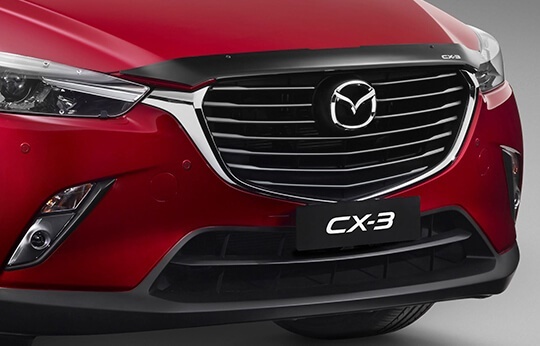 The perfect way to protect your Mazda CX-3's bodywork from any damage caused by dirt, stones and other flying road debris. 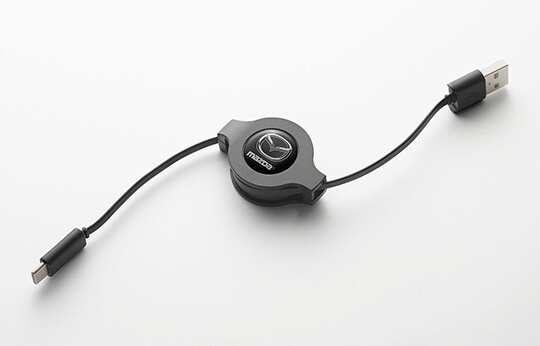 Manoeuvre your Mazda CX-3 like a pro thanks to handy sensors located at the front of your vehicle guiding you in with audible alerts. 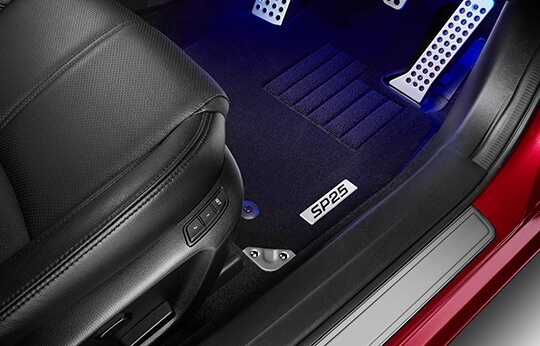 Protect your seats from dirt, spills and damage with these lightweight, durable neoprene covers designed especially for your Mazda CX-3. Not recommend for white interior. 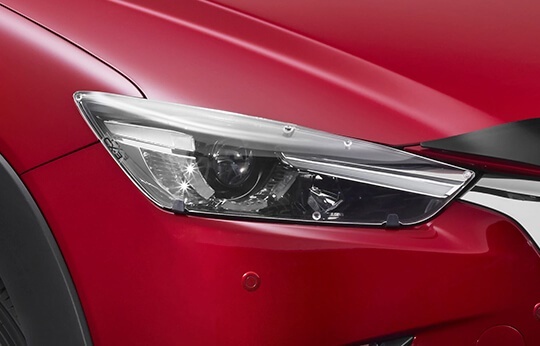 The perfect way to protect your Mazda CX-3's headlights from any damage caused by dirt, stones and other flying road debris. 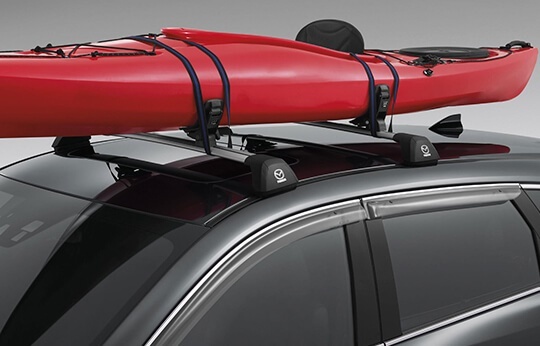 The perfect, one-stop solution for transporting your kayak, canoe or similar sized watercraft. 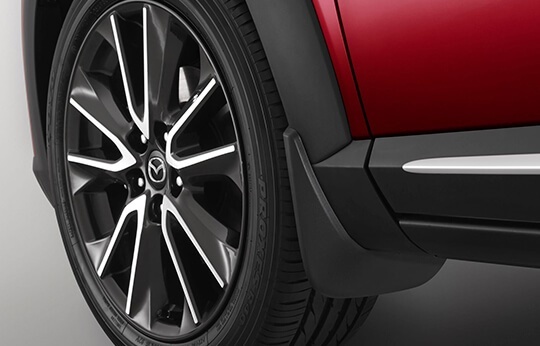 The perfect way to protect your Mazda CX-3's bodywork from any damage caused by dirt, stones and other debris flying up from the rear tyres. 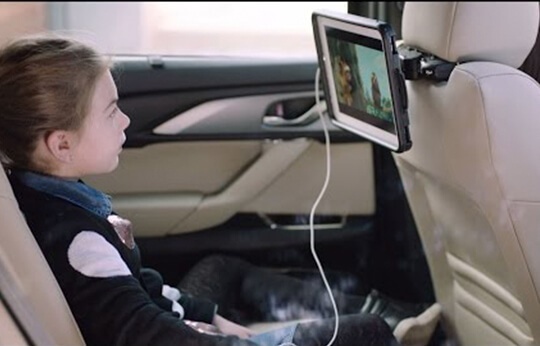 Ideal for long road-trips, the Genuine Mazda Entertainment Holder for iPad® is the perfect way to keep your kids and other backseat passengers endlessly entertained. 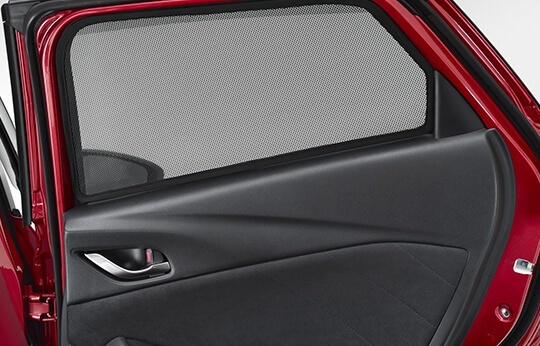 A safe and stylish solution to keep your vehicle cool and protect its interior from the harmful effects of UV light. 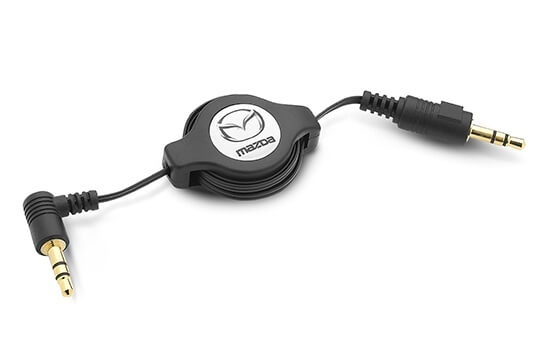 This handy cable lets you Zoom-Zoom to your favourite tunes by linking any portable device to your vehicle's audio system. 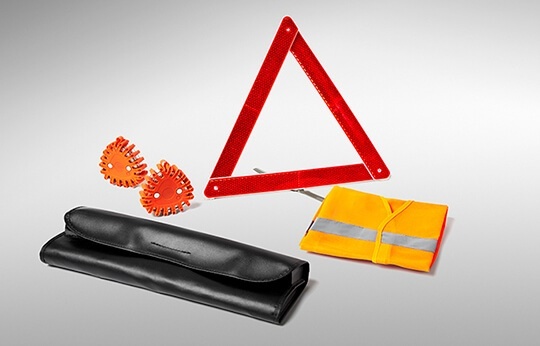 Stay out of harms way with this all-purpose kit designed to get you through any emergency. 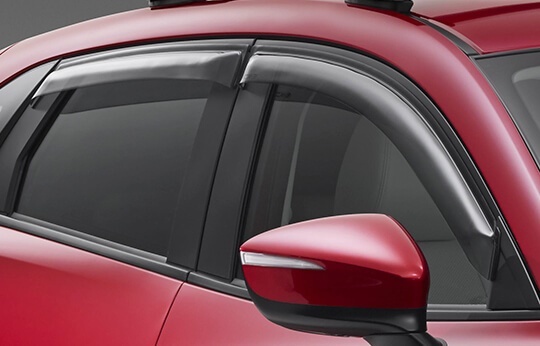 Protect your Mazda CX-3 door sills from entry scuffs and scratches with this durable and stylish plate. Even while it's raining, you can now leave your windows slightly open with this handy shield designed to keep the fresh air in and the weather out. Leave nothing behind on your next fun filled adventure with this sleek universal carrier. 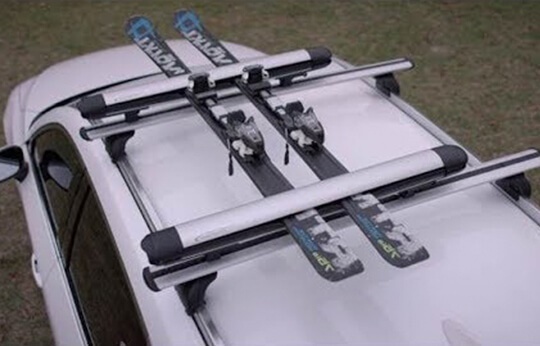 Designed to hold up to six sets of skis or four snowboards or multiple fishing rods. 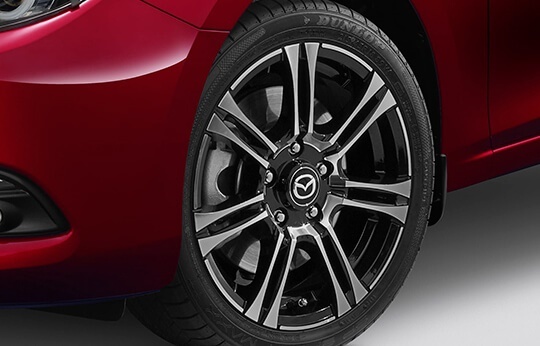 Shown here on Mazda6 and CX-8. Add a touch of sophistication to your vehicle's interior with these soft, blue ambient lights designed to gently emanate from its front foot wells. 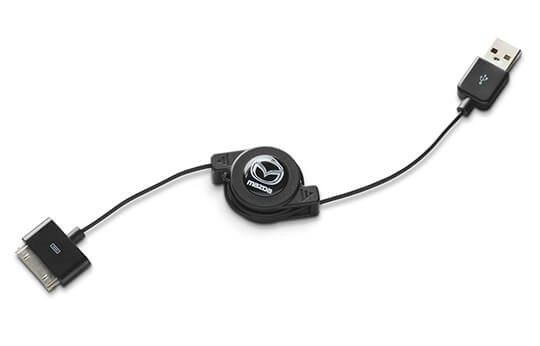 Shown on Mazda3 and CX-5. 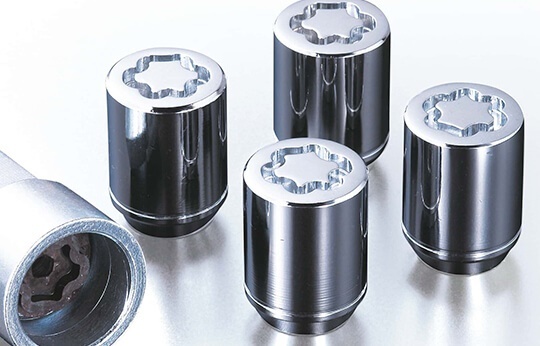 Keep thieves at bay with your own set of personalised, tamper-free wheel locks designed exclusively for your vehicle. 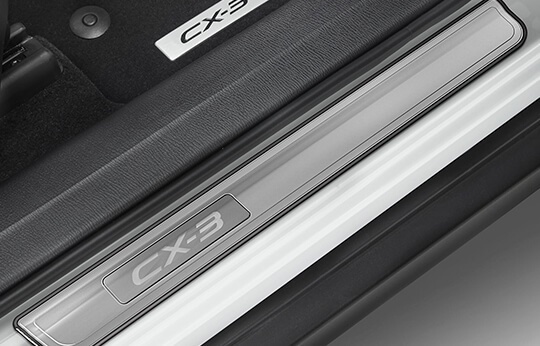 Get the very latest brochure on the CX-3. 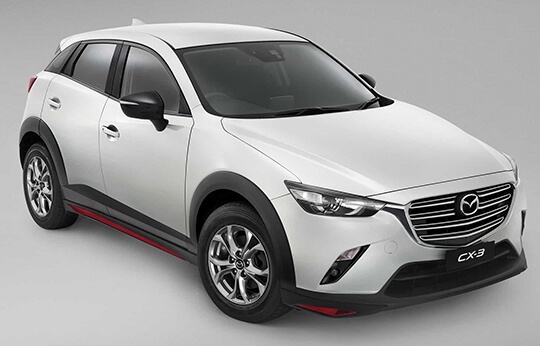 Experience the CX-3 yourself, book a test drive online.